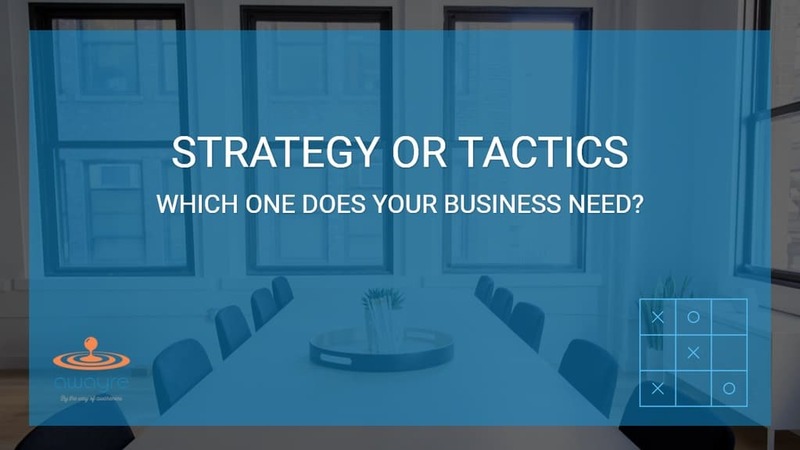 Home » Strategy Vs Tactics: Which One Does Your Business Need? Can you imagine playing tennis with one hand tied behind your back? That's how many businesses operate. They are often handicapped by the fact that they are either tactically or strategically dominant. 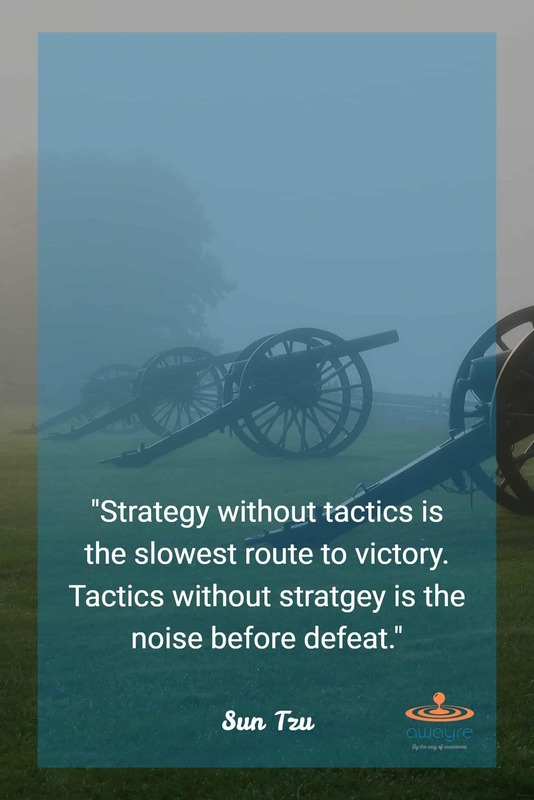 This article uses the example of one of the most important battles in the American Civil War, the Battle of Gettysburg, to highlight the use of strategy vs tactics in business. ​On a hot summer day on June 30, 1963, a Union cavalry officer named John Buford happened to ride through a town in Pennsylvania called Gettysburg with his cavalry of 2500 men. One of his soldiers came running to him and reported the strangest thing. The soldier thought he had caught the glimpse of someone in gray uniform: A Confederate soldier! If there was a Confederate soldier in a town in the Union territory, it could mean only one thing: He was not alone. And it made no sense for a small team of the Confederate army to be inside an enemy territory. There must have been more, many, many more. He looked around the little town and did something that almost certainly decided the outcome of the battle of Gettysburg three days later. After sending off a soldier to inform the higher ranks of what was to come and get reinforcement, he directed his remaining men to occupy the tallest hills he could find in the town - including the now-famous Cemetery Hill - that were connected by a ridge, forming a high ground. Thousands of soldiers gave their lives in the fierce battle that ensued in the next 3 days, many of them defending Cemetery Hill and other high points in the battle and many more trying to take them. It was an uphill battle for the Confederate Army, quite literally, as it was much harder for them to attack a heavily defended row of hills that had a much better vantage point, not just of the attacking soldiers but also of the entire battleground. Strtagey or Tactics: Is one more important that the other? But because it captured the high ground early, the Union army ended up with a strategic advantage that tipped the scale in their favor, resulting in a decisive victory for the Union and a devastating defeat for the Confederates. T​he above account is largely based on the book “Killer Angels” by Michael Shaara and my own visits to the battleground, which happens to be an hour’s drive from my home in Maryland. Although the book was based on actual events, some of the factual details are hotly debated by historians. I don’t claim to be an expert on the subject, only a curious student. ​Both strategy and tactics are necessary to win a battle. By capturing the high ground early, John Buford gave the Union army an enormous strategic advantage. However, the Union army wouldn’t have been able to hold the Cemetery Hill without tactical, one-on-one engagement that often came down to hand-to-hand fighting. Same is true in business. A business requires a unique combination of both strategy and tactics to be successful in the marketplace. "A business requires a unique combination of both strategy and tactics to be successful in the marketplace." ​It’s been well-documented that our intellectual capacity has two aspects: One relates to the “left-hand side” of our brain and other relates to the “right-hand side” of the brain. The left brain helps us think in a logical, step-by-step fashion so that we can plan, forecast and manage things in a linear fashion to achieve a particular goal or objective. The right brain helps us think laterally so that we can consider multiple possibilities at once and create options to help accomplish our goals. ​Another way to say this is that the left brain helps us think tactically and the right brain helps us think strategically. Of course, both are important in running a business. "A tactically dominant business is efficient, disciplined and focused, which allows the business to take disciplined action towards a given goal." ​My experience in working with business leaders indicates that most businesses have an affinity to one aspect of the intellect while the other does not get as much attention. In other words, a business is either strategically dominant or tactically dominant. A tactically dominant business is efficient, disciplined and focused, which allows the business to take disciplined action towards a given goal. However, a tactically dominant business often behaves as if it has blinders on. It only sees what’s directly in front of it. It ignores what’s around it and what’s in its long-term interest. ​A strategically dominant business has big ideas and a panoramic, 360-degree vision that allows it to see many possibilities to achieving its goals and objectives. But it is not so good at putting those big ideas into action and making a positive, efficient forward movement towards its goals and objectives. It acts a bit like a “head-in-the-clouds” person who is good at dreaming up big things but is all over the place when it comes to execution. Being in either state causes many businesses to get stagnant, even after many years of success. What it often needs is to bring the missing dimension - either strategy or tactics - to its operations. A good business finds a way to bring these two faculties together in a way that’s meaningful to that particular business. "A strategically dominant business has big ideas and a panoramic, 360-degree vision that allows it to see many possibilities to achieving its goals and objectives." A powerful way to bring about a change in your business is to ask yourself questions and let the answers percolate without jumping to conclusions too soon. In which category does your business fall: Is it strategically dominant or tactically dominant? What can you do to bring the ​missing aspect of the intellect - strategy or tactics - into your business? Please write your answers in the Comments section below. We have always been very efficient in taking action which makes us a bit blind to the overall strategic picture. Thank you for this article. I realize that every now and then, we need to step back and focus on the big picture. Thanks for sharing your insight, Tom! Yes, when we are hyper-focused on taking action, sometimes we lose sight of the big-picture, strategic vision. Often, all it takes is the awareness and a bit of a commitment to make the change, as you are doing.